Sixty five mathematical scientists from around the world have been named Fellows of the American Mathematical Society (AMS) for 2019, the program's seventh year. 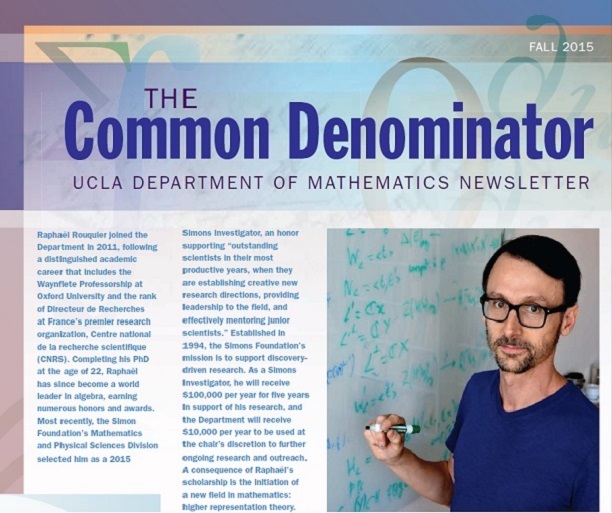 Los Angeles Math Circle (LAMC), a UCLA mathematics department K-12 enrichment program directed by Olga Radko, opened its doors for the 11th year. UCLA professors have received a $3 million grant from the National Science Foundation to develop and implement a graduate education program to help train the next generation of scientific leaders to use “big data” analysis to tackle complex societal problems.